Born in Antigua, in the Caribbean, he grew up in London, England, teaching himself to play various instruments including ukelele, guitar, keyboards, and establishing a reputation as a bassist, touring England and Europe with various Ska, Reggae and Soul bands. He played with guitarist Junior Marvin in his band, Blue Ace Unit where he got the nickname ‘Fuzz’ by playing his bass through a fuzz box. 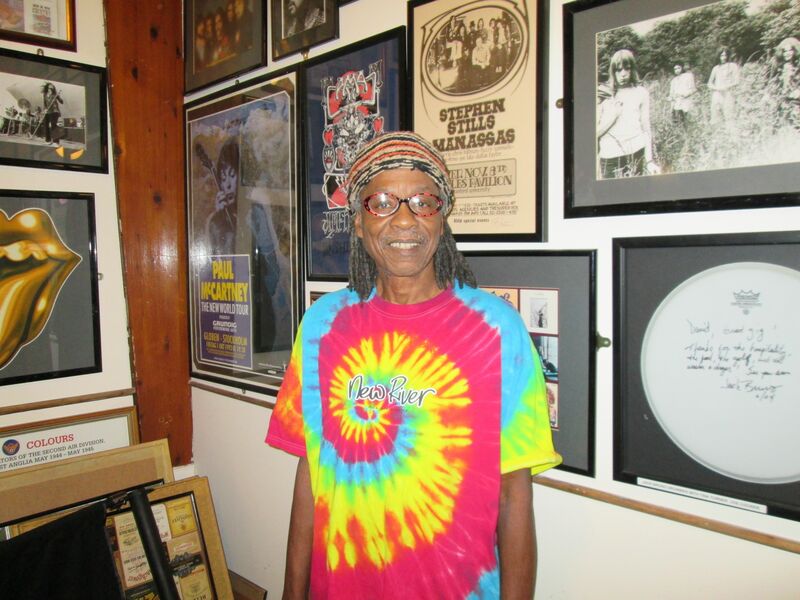 He recorded for the successful band, The Equals, lead by Eddy Grant and then formed a trio, The Sundae Times with schoolmate, Dell Richardson on guitar and vocals and drummer Conrad Isadore, his rhythm section mate from Joe E Young & The Tonics. One album was released, Us Colored Kids, scoring a top ten hit in Israel with a song called Abba Abba, written and produced by Eddy Grant. The trio disbanded. The rhythm section of Fuzz and Conrad were then hired to record Stephen Stills’ first solo album which included superstars Jimi Hendrix, Eric Clapton, Mama Cass, Rita Coolidge, Ringo Starr, Billy Preston and The Memphis Horns. During this time he worked with P.P. Arnold performing under the name Axis.